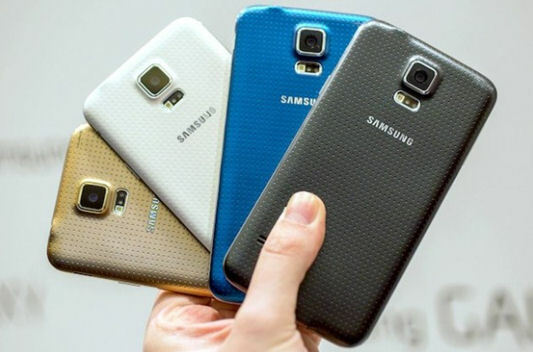 Home » Editorial » Samsung Galaxy S5 is it worth the hype? The Samsung Galaxy S5 is the natural successor of the Samsung Galaxy S4, which was one of the most sought after models released to the market. However, does the Samsung Galaxy S5 offer anything worth getting excited about or is it better to wait for the S6? 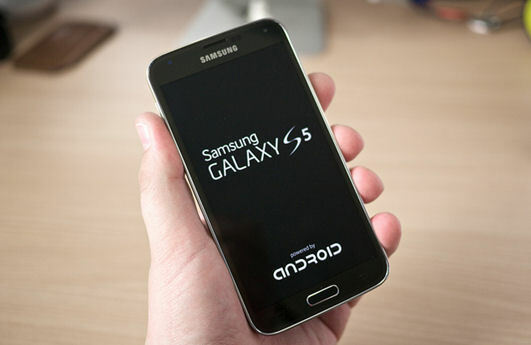 The S5 features various improvements to its camera, display, design and operating software. However, there has been significant debate in the tech world about if an upgrade to the Samsung S5 is necessary in spite of the improvements. Here, we will explore if the Samsung Galaxy S5 is worth the hype or if it a development that will ultimately fail until the release of the S6. It is evident that Samsung has put in a lot of effort to make the S5 design different from its predecessor. It features a dimpled back to differentiate it from the glossy and smooth design on the S4. One of the main drawbacks, however, is that this handset is mostly made of plastic. As this is supposed to be a high-end phone, some might expect a more expensive, luxurious material. Sony, Apple, Nokia, and HTC have all experimented with metal to make their high-end phones but Samsung seems reluctant to shift from plastic. The Samsung S5 has been designed to be both dust and water resistant in about 3.3 feet of water for almost 30 minutes. The phone is available in a variety of colour finishes including sweet pink, champagne pink, shimmery white, copper gold, electric blue and charcoal black among others. The S5 features a big and bold 5.1-inch full HD super AMOLED screen. One of the best aspects of this handset is its clear screen. It is a bright screen and this makes it ideal for users who spend a lot of time browsing the internet. 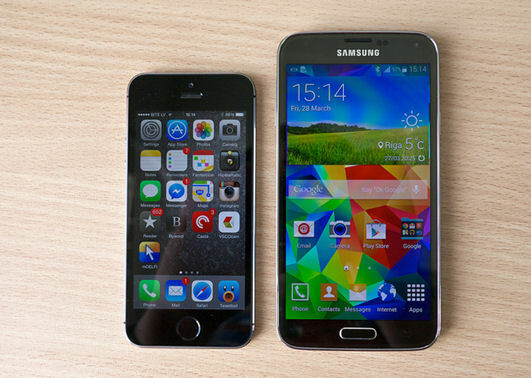 You can tell after just a few minutes that the S5 is definitely more usable when compared to the S4. Mostly because it includes more features that consumers are likely to use every day. S Health is one of the most noticeable features on this phone. It includes a heart rate monitor that is placed at the back just below the camera. The monitor allows you to track your pulse. S Health has been designed to help users monitor their daily activity. However, it does not offer the same benefits you get from devices solely designed for this function. Samsung is making an effort to come up with a battery that will last longer when you need it the most. The ultra-power saving mode activates on your phone when you need it to reduce power consumption when the handset is not in use. The feature reduces available apps to six to reduce total power use and increase battery life. The Samsung Galaxy S5 camera offers selective focus. This feature allows users to take pictures and then defocus the background. The downside is that the camera takes a while to ‘fire up’, especially if it is in sleep mode. Furthermore, its autofocus is swift but it is not always accurate. Samsung have decided to place a fingerprint scanner on the S5 home key. This is an intuitive program, but risky as it does not always pick up the fingerprint. Users are required to swipe vertically for the scanner to work but it is also possible to swipe sideways with less accuracy. most powerful models on the market. However, with that being said, some of the features are slow. As mentioned, the camera can take a while before it is ready to work. The model offers 16 GB internal memory, but only about 11 GB is available for use. The good news is that Samsung has eliminated some apps that were considered less significant on the S4, but you can still choose to download them in the Google Play Store. This gives users greater control over their internal memory. The progression when it comes to performance and in-phone features make this upgrade more than worthwhile if you are coming up to the end of one of a number of long term mobile phones contracts. There are a number of great value contracts from Virgin Media available now that you can take advantage of to get the Samsung Galaxy S5 for a great price. The Samsung Galaxy S5 has an amazing screen and it offers plenty of battery life. This is a powerful and competent phone with unique elements that make it different from any other model available.